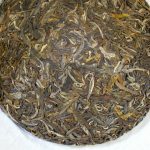 We have just released a new type of white tea that is produced from wild camellia taliensis that is native to a forest in Feng Qing. We named it as Feng Qing Wild White Tea. Feng Qing town is well-known by tea lovers and it is the heart of Yunnan Black Tea, known as Dian Hong. However, there are many remote mountains surrounding there. That is where Feng Qing Wild White tea is born. 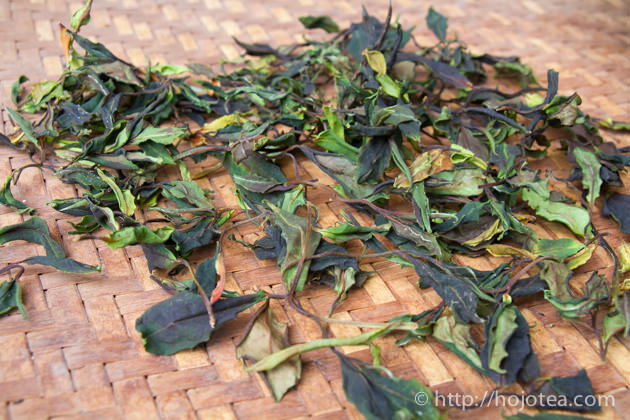 There is often a confusion identifying the difference between “wild tea” and “old tea” tree. The “old tea” means that the tea tree is old and usually belongs to the owner. While the “Wild tea tree”, belongs to the native forest. Due to the remote nature of the location where wild tea trees were grown, we had difficulties in collecting this tea. 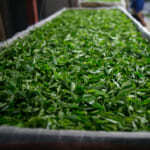 Before tea season got started, we have visited the manufacturer and discussed what tea we wish to produce. Although we confirmed the production of the wild white tea, the manufacturer was not very sure if he could make it due to limited or no access to the mountain. In particular, the trail to the mountain often runs down if there is continuous rain. 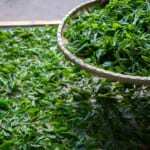 Since we had continuous rainfall this year, we did not know if we can really get this tea. This year we were particularly lucky when the rain stopped for about a week and the farmer could manage to walk up there. However, we could only manage to produce lesser quantity than initially we planned. 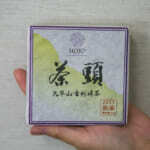 Initially we were planning to introduce this tea in mao-cha form. However, we felt that the leaf size of camellia taliensis is quite large and density is too light. We felt it is much easier in handling for customer if we compress it in a cake. 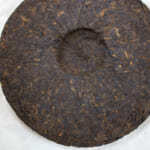 Another reason is that tea will mature faster in cake form. It is suitable for the long time storage as well. 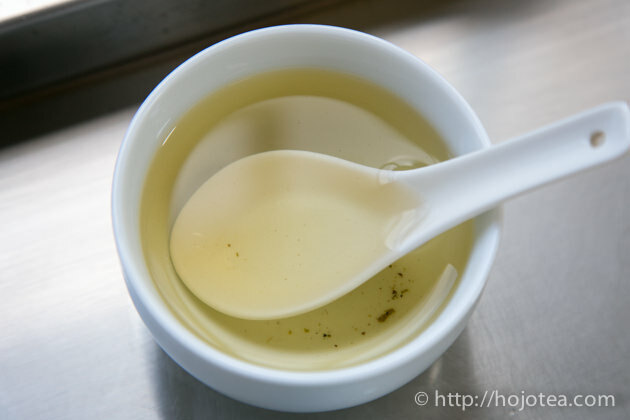 In China, most of white tea is produced in Fujian province. 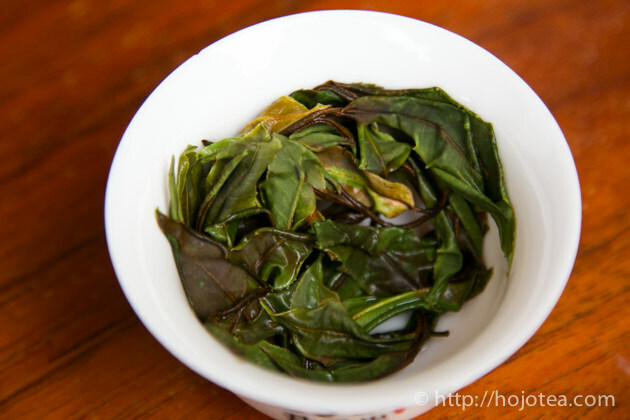 In Fujian province, manufacturer cares a lot about the appearance of white tea. They prefer greener color as it is the market preference. 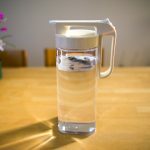 Because of this trend, most of white tea is less withered. 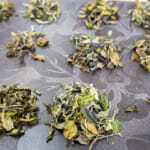 They dry tea leaves while the leaf color is still green. With longer withering, the leaf turns into beige color. It is said that some manufacturers traditionally conducted longer withering once upon a time. 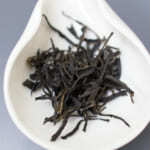 The taste of the longer-withered white tea is very mellow, with less noise and it gives sweet lingering taste. 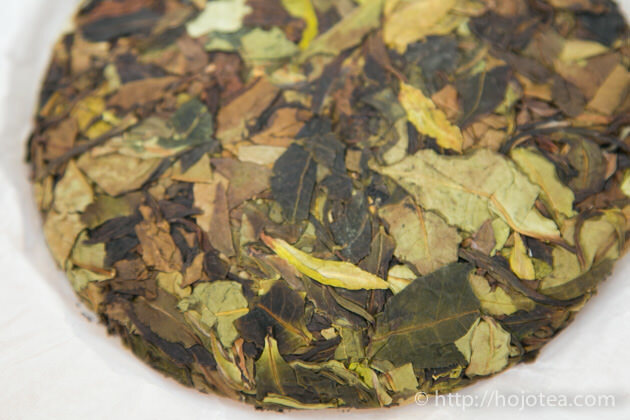 As it is, we requested the manufacturer to wither Feng Qing Wild White Tea for more than 2 days. As a result, the appearance of the tea becomes like an army uniform. I was very shocked when I tried this tea for the first time. The taste of tea was very clear, strong body and long lasting aftertaste. 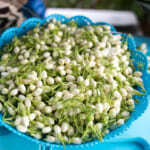 It reminds me of young mango, a little bit of fresh lychee, orchid flower, pineapple and green grapes. 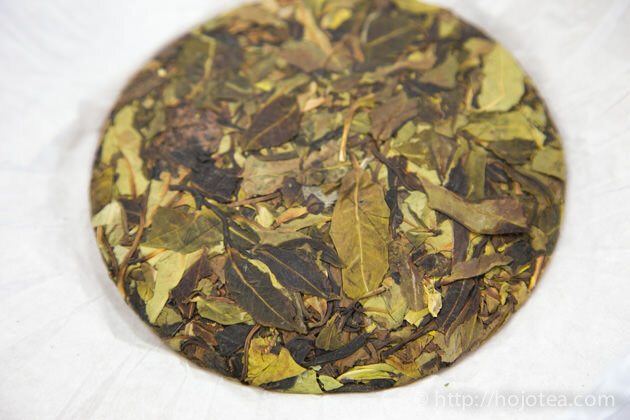 The flavor of this tea is pretty different from the ordinary white tea. It would develop honey and apricot flavor too once it is well matured.